Did you know you can build time management skills – fast and easily – with astrology? This free podcast tells you how. Anne returned to Jo Vandermeulen’s blog talk radio show this week to let listeners know how they, too, can build time management skills – good ones! – with astrology. She also shared tips on using astrology regularly as a time management tool. You can hear more with the free podcast of the show. Like Anne’s earlier appearance on Vandermeulen’s show, this program drew rave reviews. Vandermeulen, a radio host, author, and internet promotional expert who broadcasts from Courtenay, British Columbia, called it “a fabulous show,” with an “incredible” presentation by Nordhaus-Bike. 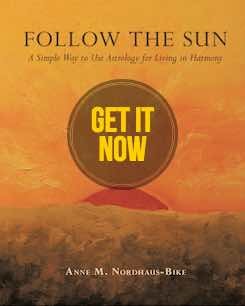 During the show, Anne talked about how “following the Sun” and paying attention to the Moon can help us get into harmony with the seasons and nature’s rhythms and therefore manage time more effectively. She also talked about the importance of Mercury, especially Mercury retrograde, to help listeners gauge their time on the internet and work more productively while there. In addition, Jo asked Anne several questions about how art provides a simple yet powerful and beautiful way to help manage time. An artist as well as an astrologer, Anne has used art in this way for many years. Her Follow the Sun astrology book features her original astrology watercolors, and she recently released a set of astrology birthday cards to help readers harmonize with all 12 zodiac signs and manage time in new ways by aligning themselves with nature’s cycles and seasons. Thank you to everyone who tuned in to hear the 30-minute broadcast live. The interview continued after the live show concluded, providing even more practical ideas to build time management skills, using astrology. The full interview lasted about 40 minutes, and a free podcast of the entire show now is available. 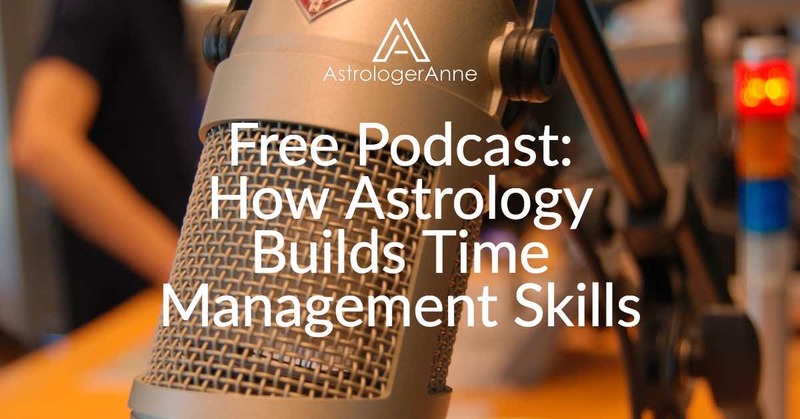 To hear the complete interview, and start building your own time management skills fast with astrology, visit the broadcast recording page. Happy listening! And thank you again to everyone who already has listened to the free podcast and taken time to share it with others.